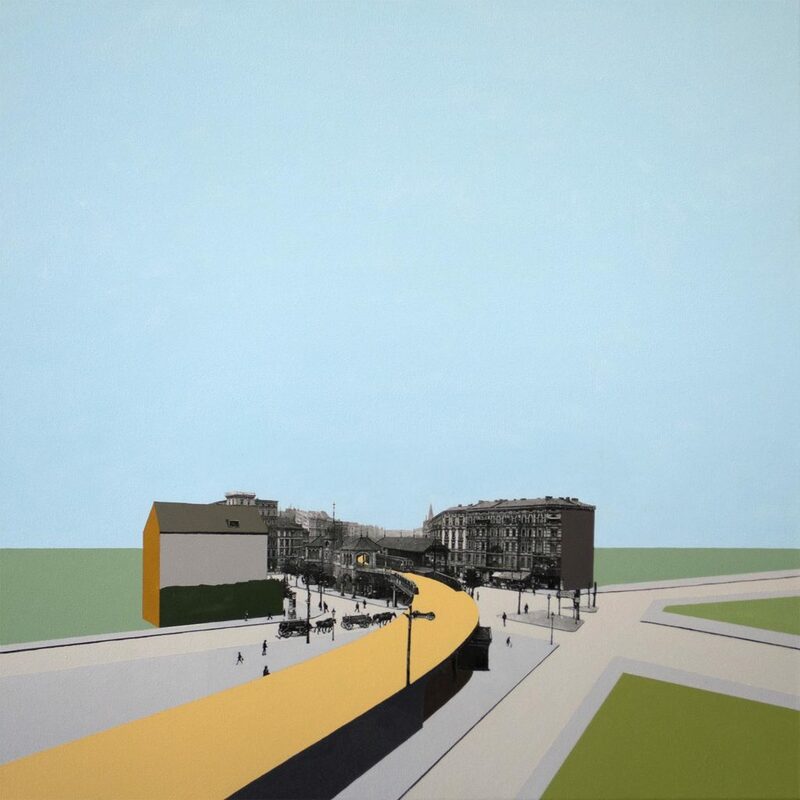 In the final installment of this series, Bernard has deconstructed the final paintings in a journey that reflects the relation of the gates to present day Berlin. 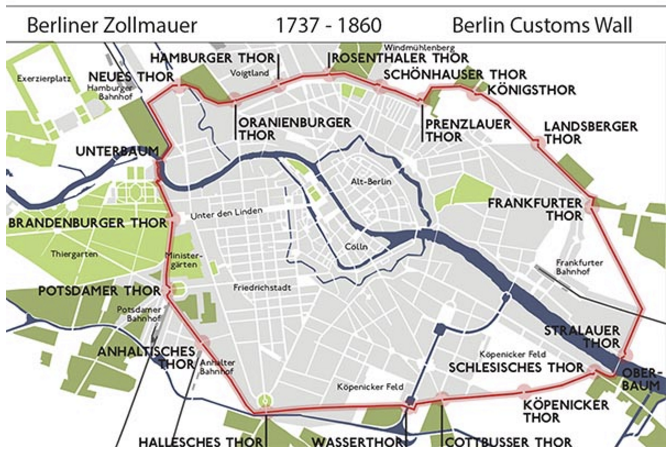 The original customs wall, while broken in half as Berlin was divided in two for many years, takes form again in the topography of the city as it rebuilds itself. The specific gates are still present in the names of subway stations and city squares, but only in an abstracted form. 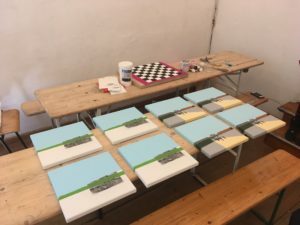 The final paintings in this series have deconstructed the process of combining the mediums of photography and painting into abstracted compositions that place the photographs less and less in a conventional viewpoint. The Gates of Perception is a series of paintings that combine one photograph transferred to canvas and acrylic paint. 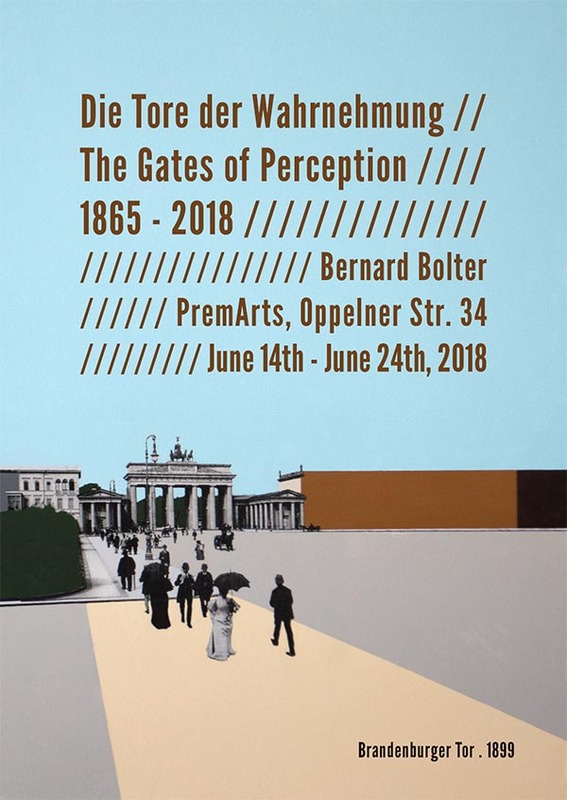 The series portrays the gates of the Berlin Customs Wall, which existed from 1737 to 1860, with a combination of historical and present day photographs, spanning the city of Berlin from the end of the 19th century to the present day. The gates of the Customs Wall were named after the cities one would travel to when leaving Berlin, in a very outward looking way, and to this day still define the city. 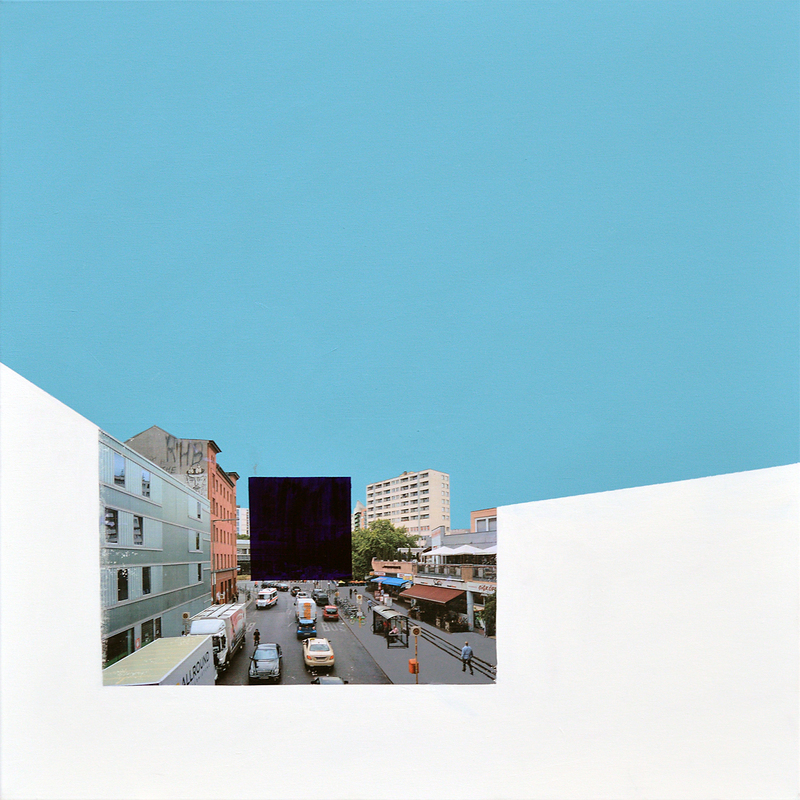 Bernard Bolter is a contemporary American artist who works primarily between the mediums of paint and photography. Having grown up skateboarding in the streets to seeing the world by rolling through international streets, Cityscapes have been his inspiration and material throughout. Raised in the City, Bernard began as and continues to be a San Francisco artist. His work and person is inherently international, having attended art school in the Netherlands, co-founded a non-profit traveling arts organization in Brooklyn, and collaborated on projects in China. He currently works out of San Francisco and Berlin, filling in the betweens. 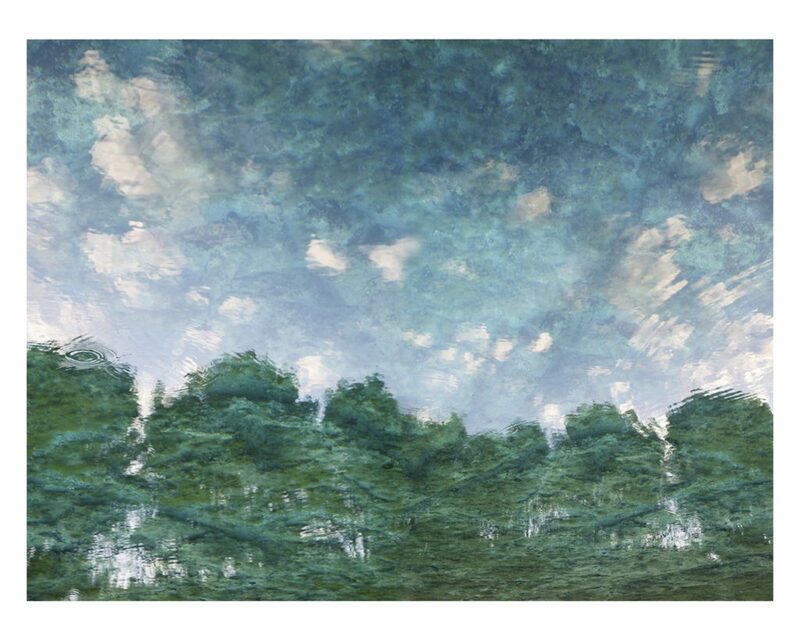 Featuring 13 chromogenic prints including one diptych , True South offers a glimpse into the artist’s extensive travels. True south, defined as the direction towards the southern end of the axis about which the earth rotates, is more poetically described by the artist as “the direction towards the other side…and the eternity of an instant” as well as a “state of mind.” The photographic images in this exhibition evoke Ten Hoever ‘s innate ability to discover and capture on film a hidden secret or story within a place he dwells. This gift comes from his patience and openness to experience on a deeper level the people and atmosphere of the places he encounters. For Ten Hoever, travel is not defined by the destination but rather the journey that he allows to unfold. Whether in Taos, Cartagena, Pueblo Garzon, the Cyclades or Cape de Creus, the artist approaches the land and its inhabitants with a striking sensitivity rare in today’s world. Gustavo Ten Hoever was born in Uruguay, attended photography school in Montevideo, Uruguay before moving to New York in 1986. He currently resides in Paris. 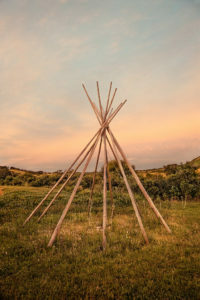 After an early and formative expedition to the Brazilian Amazon, he began shooting his first photo exhibit, Full Moon People, chronicling the indigenous people of this region.Ten Hoever has travelled continuously and exhibited internationally with shows in New York, Connecticut, London, Paris, Geneva, Zurich and Gstaad. His editorial work can be seen in publications around the world. Portals is a gateway between what is unknown and what we think we know. I invite you into a space that aims to transcend time and our constructed reality. An immersive experience that plays challenges your senses of perception. I offer you a world that glows despite the darkness, where walls become transparent, and connection is possible. This one day workshop is for artists or anyone that would like to explore the body in a performative way. We utilise Butoh related research methodology, to delve deep into what moves us. Physical and emotional exploration. In the space, we anchor one another and discover hidden worlds in our bones. Once these worlds are rediscovered, we find solutions on how to manifest them into the our physical plane. Opening a portal from our inner lanscape. MARK BAUTISTA || Interdisciplinary Artist. Sound maker. Theatre practitioner. || Alaskan raised. Berlin Transplant. His aim is to create works that transcend boundaries and constructs, to awaken our universal memories, and deepen our connection with our humanity. He devises, writes, and performs solo and ensemble performance works— which explore our inner lives, past lives, future-selves, wishes, hopes, dreams, and fears. Transformation, rebirth, surprise, and illusion are common devices in his work. 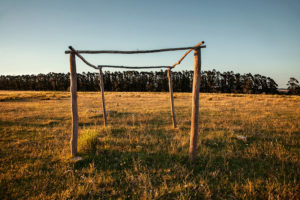 Mark’s work can be described as theatrical and movement-based, fused with visual-media, poetry, sculpture, and sound. Music, opera, circus arts, physical theatre, clown, mime, viewpoints, Suzuki training, and butoh dance have shaped his approach to creating a performance. He studied Music Performance, Theatre, and Movement, at University of Alaska Anchorage in the United States. Mark also maintains a teaching studio, teaching voice, performance/movement technique, and music. 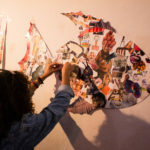 In this social and artistic event you will have the opportunity to get involved and inspired in communal collages following your personal, artistic, political or social direction. Materials such as newspapers, pictures, magazines, scissors and glue will be provided but you are more than welcome to bring your own. used on bringing creative people together to express social and political messages throughout art. Spreading positive images and ideas around Berlin to clash with the commercial advertising polluting our cities and promoting values we don’t believe in . The collective was born after the need to express ourselves in a city and society that don’t fulfill our creative and social aspirations . 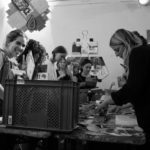 The collective organises social and artistic events to give people the opportunity to get involved and inspired in communal projects. 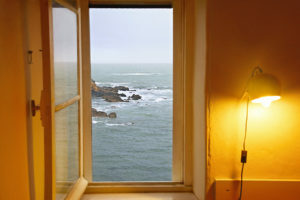 Photographer from San Fransisco will be exposing his photographies friday the 31st of august from 19:00 to 22:00. 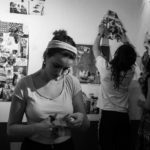 Embroidery artist Erick Costa Kohl invites to his Embroidery workshop for Beginners at PremArts. Participants will be shown and have the chance to practice 3 different stitches for contouring and filling techniques.Through embroidery, creative mind Erick Costa Kohl found another way to to express his creativity and is now sharing his skills in workshops. 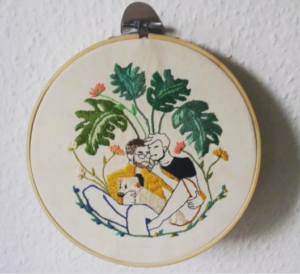 Learn and practice embroidery in a small group of 10 people in a pleasant atmosphere. All materials (embroidery hoop, thread, sketches, pens, needles and fabric) will be provided for the 4-hour workshop. The History of Beatbox Battle exhibition includes a remarkable multimedia show in the gallery PremArts, where the previous four Beatbox Battle World Championships will be illuminated in detail with the help of touch screen monitors and graphic video and photo installations. Beatbox Battle TV will show up exclusive images and graphic installations from the past years 2002-2017. We invited some of the worlds best human beatboxer on the loop station for a funky fresh music showcase. The event is powered by Vodka23 & RedBull. 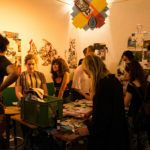 At Premarts artist Bernard Bolter will be leading an open work space for the collective with the idea of working together and brainstorming about how to make a living in Berlin doing what we love. 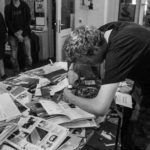 We invite Berlin artist to come join us and discuss on how to make replicas of their own work and eventually go to the markets of Berlin. 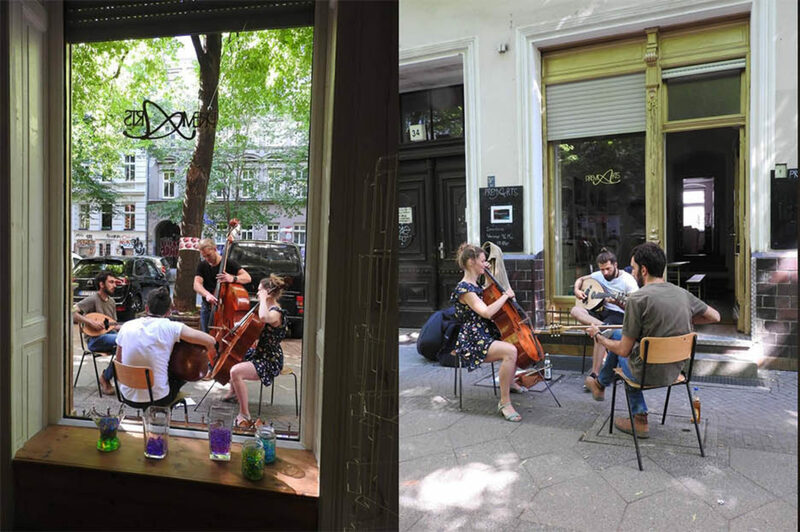 From 9th of July to the 22nd we’re are going to be starting a collective to help Berlin artists enter the free market. We’re are going to the market as the collective on Sunday. If you are an artist based in Berlin and would like to talk to us about joining the collectif feel free to come by the gallery and say hello. In a time when everything is changing in a city, artists need to learn new ways to survive. Berlin is changing, the rents are rising, there’s less affordable space, and the subsidies aren’t necessarily going to cover everything in the future. and the part-time jobs around to survive are not really part-time and most likely are 7 days a week at the iPhone factory. These artists use their skills to make replicas for foreigners who come just over the border from Hong Kong. This is one of the only hustles that these artists have to live off their skills and still have the means to make their own art on the side. There’s something to be learned from them. 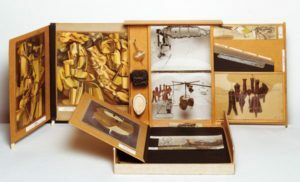 From 1 941-1966, Marcel Duchamp created 300 “Box”’s filled with miniature replicas of all his major artworks, La boîte en valise. Duchamp is known for his early cubist paintings and for giving the world his “Readymades”, found objects that he exhibited in art galleries and made conceptual art. 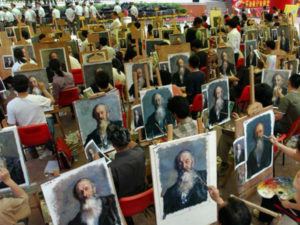 At a certain point he slowed down his artistic production, mainly to play chess, but still made these miniature “Portable Museum”’s, which now have ended up in most major museums around the world. There’s something to be learned from him too. 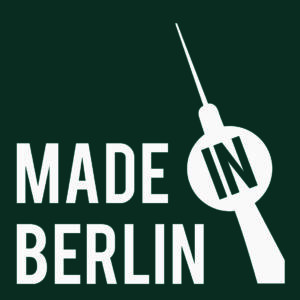 MADE IN BERLIN is a collective of Berlin based artists that create replicas and derivatives of their own artwork and bring them to the markets, learning together. The Gates of Perception is a series of paintings that combine one photographs transferred to canvas and acrylic paint. The series portrays the gates of the Berlin Customs Wall, which existed from 1737 to 1860, with a combination of historical and present day photographs spanning the city of Berlin from the end of the 19th century to the present day. The gates of the Customs Wall were named after the cities one would travel to when leaving Berlin, in a very outward looking way, and to this day still define the city. Bernard Bolter is a contemporary American artist who works primarily between the mediums of paint and photography. Having grown up skateboarding in the streets to seeing the world by rolling through international streets, Cityscapes have been his inspiration and material throughout. Raised in the City, Bernard began as and continues to be a San Francisco artist. His work and person is inherently international, having attended art school in the Netherlands, co-founded a non-profit traveling arts organization in Brooklyn, and collaborated on projects in China. He currently works out of San Francisco and Berlin, filling in the betweens. 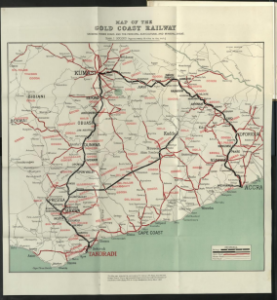 Map of the Gold Coast Railway. Showing Feeder Road and the Principal Agriculture and Mineral Areas. March 1922. Colonial Office photographic collection at The National Archives, UK as part of the Africa Through a Lens project. Unearths the role that memory, community, evolution and continuity play in African storytelling and the construction of identity and consciousness reflected through a timeline of events. In contemporary discourse, a probe to dissect the methods of designing narrations by organising or disorganising spatial relationships. 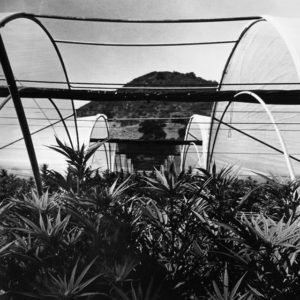 A contribution for rethinking urban mythology, navigating time travel and escapism while engaging the socio-political realities of global warming associated with an electronic waste site and salvaged auto parts market. 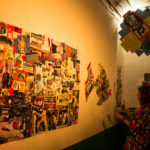 A storyboard of thought-provoking visual poetry on diverse themes including migration, labour and global economy. 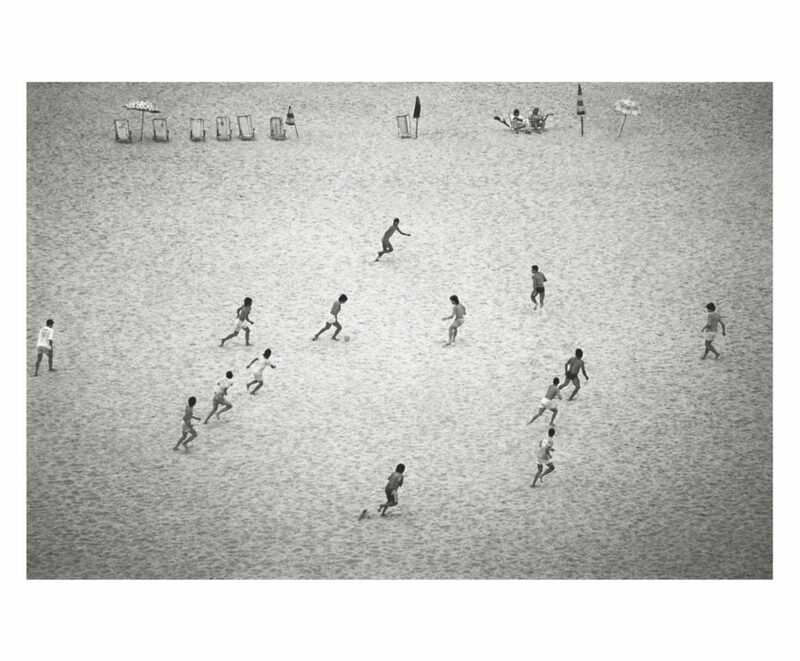 A social commentary approach merging abstraction with street photography, collage, sound and poetic documentary. 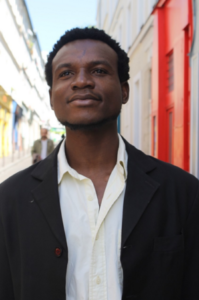 Kwame Aidoo is a Ghana-based writer, educator and artist whose text, visual, sound, installation and performance pieces are inspired by African oral folklore, cadence and symbolism to interrogate sociopolitical contexts. He is the founder of Inkfluent, Nkabom Literary Arts Festival and Afrovims; a journal on creative processes and projects from Africa and the diaspora. He makes social commentary music with Dearly Deported(GH), Lucked In(FR/US), Blood Drum Spirit(US), Break Ya Bones(FR) and Kwasaba(DK). 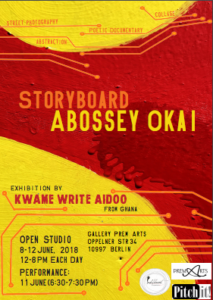 He graduated from KNUST-Kumasi in biochemistry and biotechnology and has shown work at Chale Wote – Accra, Nasjonalmuseet – Oslo, Prem Arts – Berlin, FLUPP – Rio, among others.